The River at Night was a suspenseful and awesome read! You follow Wini and her three friends on a girlfriend's weekend. They follow the lead of Pia and agree to go white water rafting. Even with Wini's doubts, she decides to go anyways. What starts out as an invigorating hiking and rafting excursion in the remote Allagash Wilderness soon becomes a nightmare. A freak accident leaves the women stranded, separating them from their raft and everything they need to survive. When night descends, the women spot a fire on the mountainside which lures them to a camp that appears to be their lifeline. But as Wini and her friends grasp the true intent of their supposed saviors, long buried secrets emerge and lifelong allegiances are put to the test. To survive, Wini must harness an inner strength she never knew she possessed. There were so many twists in the story that kept you guessing until the very end. I highly recommend this to anyone that loves a good suspense and thriller novel! 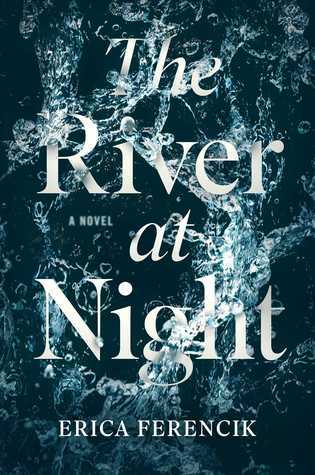 Sign into Goodreads to see if any of your friends have read The River at Night.